The first impression is characterized by chocolate-spicy and sweet-fruity notes. A wave of chocolate, fresh peaches, apricots, oranges, hints of grapefruit, vanilla pods, red grapes, pleasant sherry aromas (dark fruits), toasty aromas, abundant spices (cinnamon & ginger) and oak wood stands out powerfully from my glass. The alcohol (46%) is very well integrated. A little patience pays off when nosing: The multi-faceted and harmonious nose reveals many more nuances even after 20 to 30 minutes. The elegant complexity is just fun. 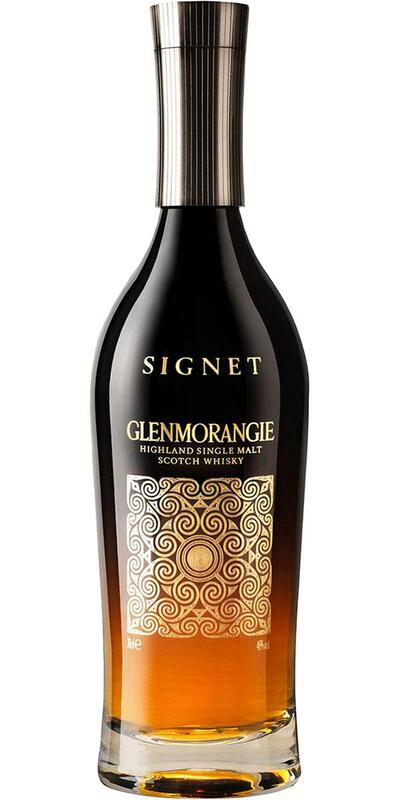 The texture of the Glenmorangie Signet is wonderfully velvety soft and creamy. At the first sip, a slight tingle (ginger) on the tip of the tongue is noticeable. The start is very full-bodied and sweet and spicy. Plenty of oranges, grapefruit, vanilla pods, hints of tropical fruits and sherry notes (wild berries, raisins) dominate with intense spices (cinnamon and ginger) and toasty aromas (coffee / espresso). Milk chocolate, hints of leather, a touch of malt, dark forest honey and mature oak notes complete the aromatic variety. The well-selected alcohol content blends seamlessly into the harmonious overall picture. Medium to long, sweet and spicy and chocolaty. Dark forest honey, vanilla, oranges, grapefruits and light sherry notes flash again. 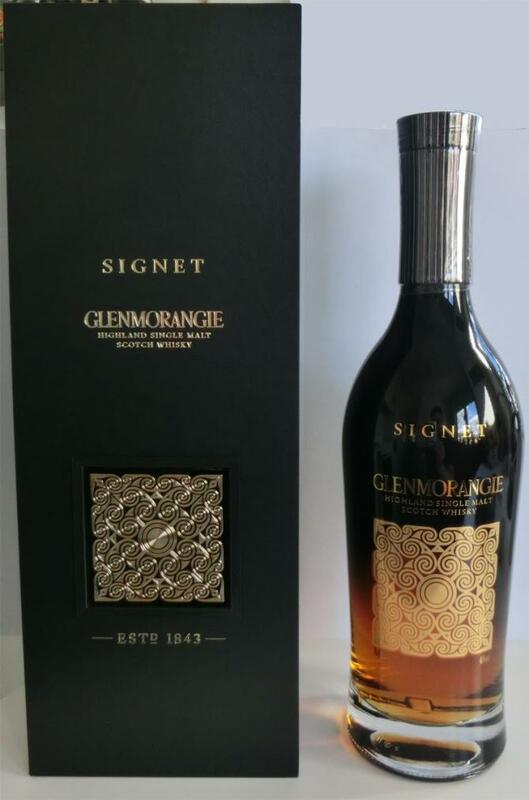 Plenty of chocolate with a touch of mint (reminds me a little of After Eight), ginger, roasted aromas, nuts and oak make the Glenmorangie slowly fade away. On the palate remains a subtle bitterness. Intensive and round. Insanely balanced and complex. By far the best Glenmorangie that I had in the glass so far. Sweet; Oak; Sherry; tart; Herbs -> of which mint most clearly; Fruit; Spices (in the clearest cinnamon I would say); flowery fresh. The harsh note I would classify in really dark, pure cocoa. Spicy; Oak; Vanilla; Honey; Herbs; tender-bitter, clearly towards coffee. Still sweet and spicy after that. For many whiskys, the tart is always there when it comes. Not here. It is at times harsh and bitter in the mouth, but then comes back full sweetness and already the tart part away. Hammer! I've never had it like this before. Fun and tasty, but less refined than its price tag would have you believe. Not sure if I'd pick this over the regular 18-year-old if price weren't an issue. 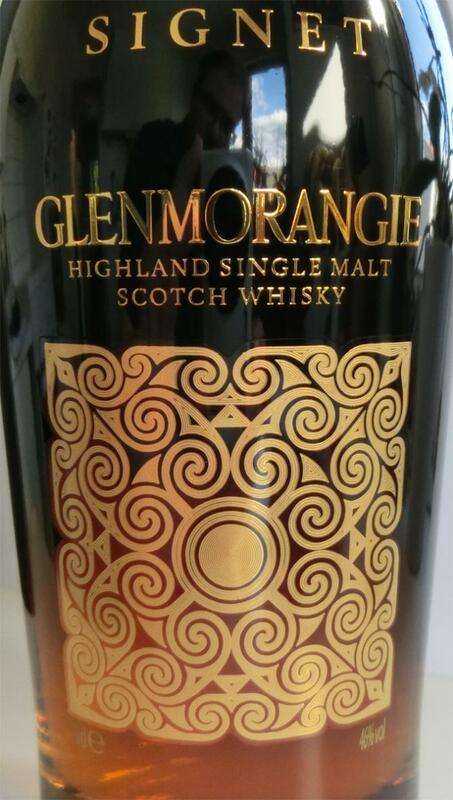 The typical bright Glenmorangie fruits meet darker roast notes: espresso (duh), dark chocolate, savory-and-nutty Oloroso. No overt woodiness, it's all pretty juicy and clean. Intense and present, but without any hidden depths. More heat than you'd expect from a bottle priced this ambitiously. Certainly can use some water, especially before it's about half empty. Okay, now for the positives: Glorious stone fruits: apricots, plums, peaches, then about halfway through, we shift toward the (equally immaculate) darker, roasted aromas: dark-roast coffee beans, high-cocoa-content chocolate, a pleasant tart/bitter aspect... It's all becoming rather stately, isn't it? Lovely, really, yet somehow I can't shake the feeling of things clashing rather than harmonizing. Everything's just a little bit too hot, too overt, too... un-subtle. Feels rushed somehow, though you can't argue with the overall quality. Impressive, but still somehow suspect, if you know what I'm saying. First of all, I'm not a big fan of Glenmorangie. The 25y Quarter Century I found great, joo but it also costs a fortune. The exception in price / performance is definitely the signet, for a NAS is the extremely complex and that in almost all areas. Also here it goes on with Schoki & Orange, the fruits are darker than in the nose. 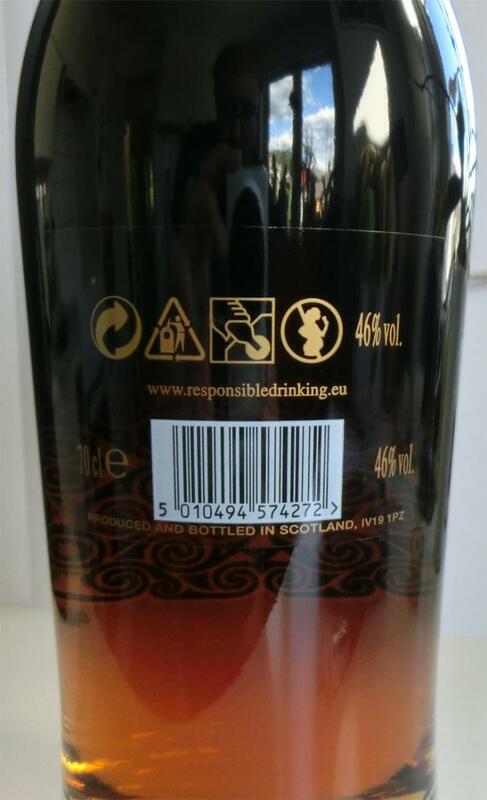 The usual red fruits known from sherry casks, but fresher and not so violent, followed by a dry oak note. Chili and Eucalyptus are also discreetly represented. Overall, very consistent the part. Wonderful whisky, quite complex and layered in the nose but simpler in the palate. Interesting blending work: the nose is with obvious sherry influence but the taste is significantly oaky, probably some virgin oak was used in the recipe. It takes time to get into this whisky but the result worth it: it's a really enjoyable dram. Quite expensive but on my opinion worth every cent. A good balanced sherry molt, quite drinkable, but not causing too bright emotions.